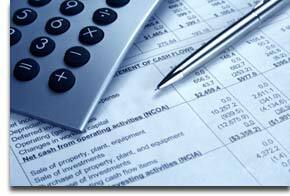 Business Publication Auditing (BPA) Services | DRS Acquisitions, Inc. 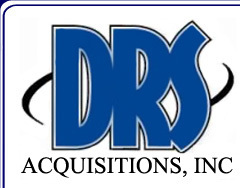 When it comes to circulation auditing, DRS Acquisitions has become the "call center's" call center in providing BPA services for the past decade. The primary reasons for this are our commitment to quality, expertise in the industry, the experience of our staff and the state-of-the-art technologies that we employ. Quality - Our strengths include our dedication to providing our customers with the utmost in customer service, Our implementation of internal quality control measures and reliability - all at very competitive price points. Our level of quality combined with our proven results helps us maintain our level of repetitive customers. Expertise - Our domestic call center staff brings over 10 years of Business Publication Auditing experience to the table; both for our own core clients as well as clients of other call centers around the country. We understand and maintain strict compliance with all the BPA rules and regulations. Our Staff - With our call center located in rural Minnesota, we bring a favorable and neutral midwest dialect to all our programs. Our clear ability to communicate with individuals has afforded us a higher level of contact and completion rate. Our call center has one of the lowest turn-over rates of any call center in the country meaning fewer new employees to be trained and more high quality trained callers for your program. In addition, our management team maintains accountability for all our clients programs from the top down with no exceptions. Our Technology - Our state-of-the-art SER (EIS) computerized dialing systems and the capability to digitally record all program 'completes' represents the top of the line service standard in the industry. Give us a call and let our team provide you with Top Notch Quality Service at the best possible price.